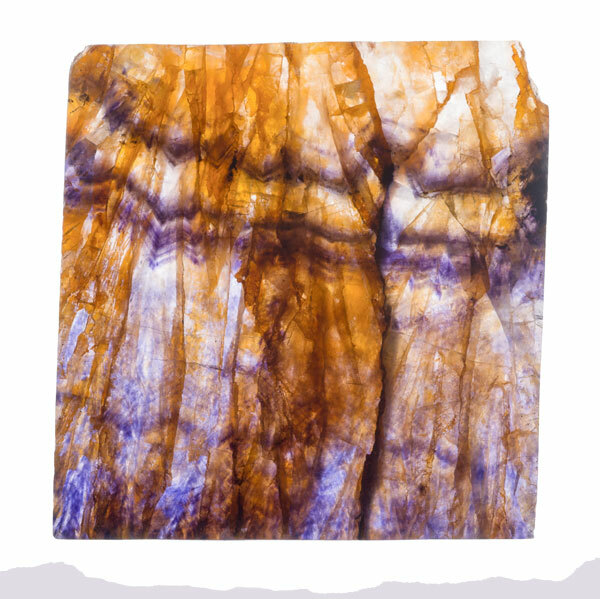 In 2013, for the first time in over 150 years, a distinctive new vein of Blue John Stone was discovered. 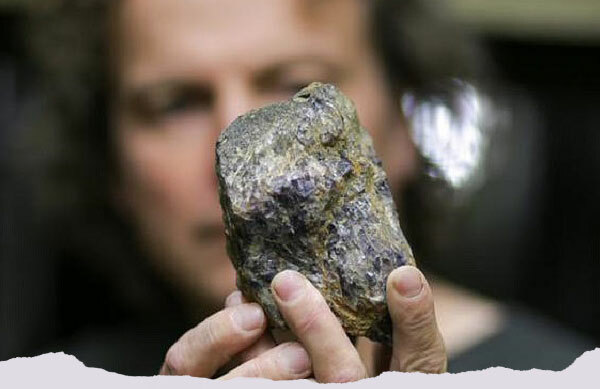 It was named the Ridley Vein after Gary Ridley, the miner who found it. 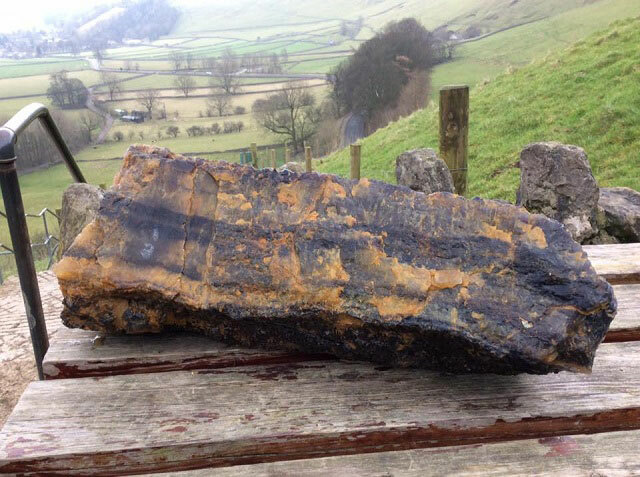 Blue John stone is found in only one place on earth, beneath Treak Cliff Hill near the pretty Peak District village of Castleton. 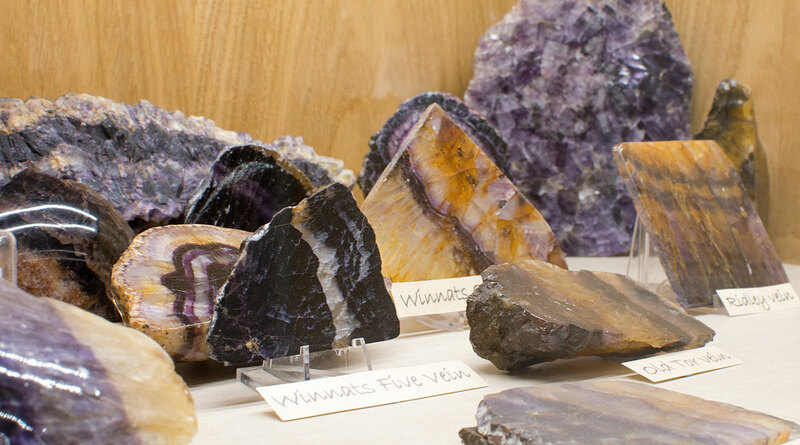 Each vein has its own characteristic colour and banding of blue, purple, yellow and white. Historically there have been just 14 distinct identified veins of Blue John with names such as Millers Vein, Treak Cliff Blue Vein, 5 Vein, 12 Vein and Old Tor Vein. It became fashionable during the Regency period in the early 1800s and graced the tables of some of Britain’s great houses, including Buckingham Palace and Chatsworth House. 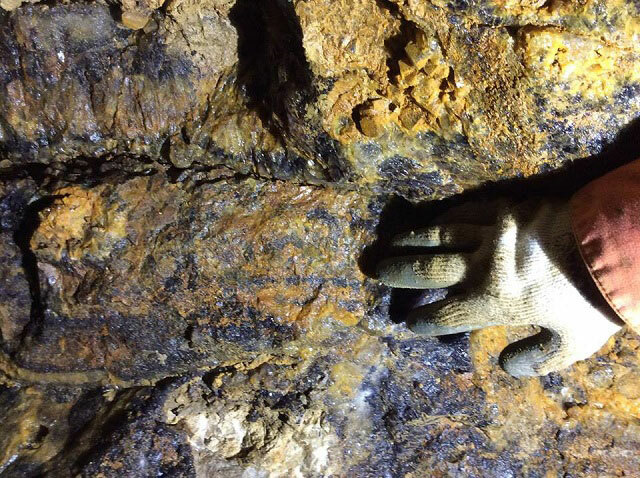 However there hasn’t been a distinctive new vein discovered since the mid 1800’s, making the discovery of the Ridley Vein the first new find in over 150 years. Treak Cliff Cavern show cave is still actively mining Blue John stone and it is here that experienced miner Gary Ridley made his historic discovery. 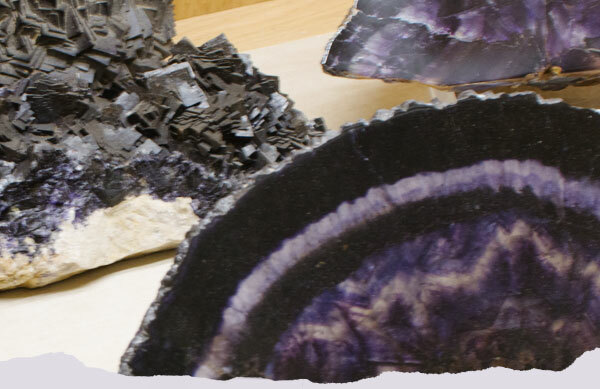 Treak Cliff Cavern turned to renowned Blue John expert, retired Senior Lecturer in Geology at Leicester University, and author of the definitive book on Blue John Stone, Dr Trevor Ford OBE for his view on the significance of the new discovery. Trevor D. Ford, OBE (1925-2017) was a British geologist, specialising in speleology (the study or exploration of caves) and an author. He was a Senior Lecturer in the Geology Department of the University of Leicester, and also Associate Dean of Science. 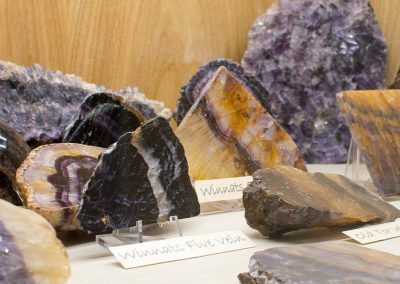 He wrote several popular introductions to Peak District geology, a definitive study of the local fluorite Blue John, as well as numerous cave guides. 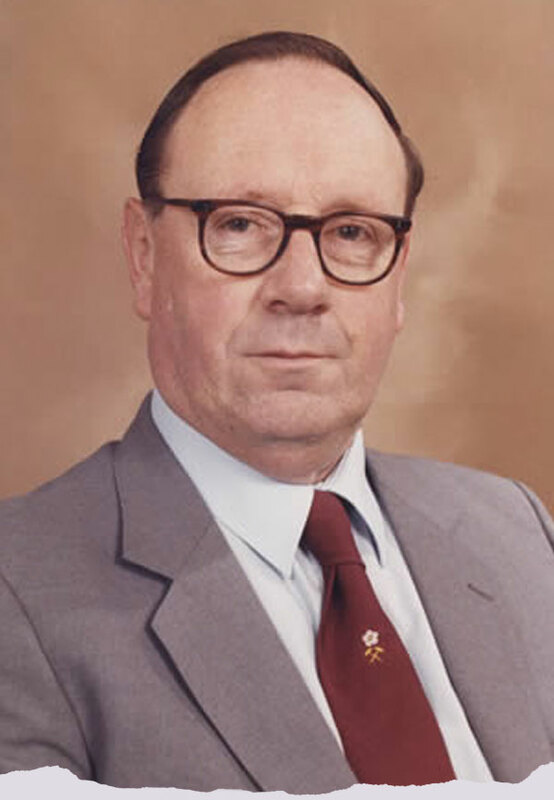 Dr Ford was awarded the OBE in 1997 for services to geology and speleology. 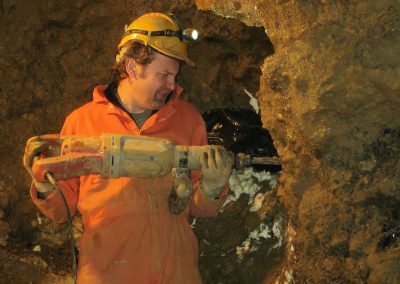 The discovery of the Ridley Vein is the second major find in Treak Cliff Cavern in recent years. In 2013 the “‘lost vein’” was uncovered. 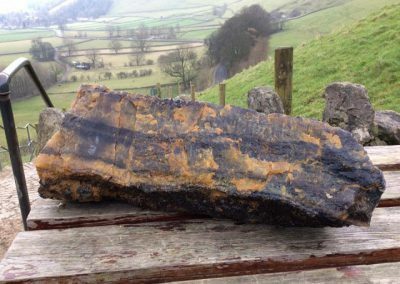 It had lain hidden for over 70 years when the original miner who found it, John Royse, died before he could reveal the exact location to new mine owner Peter Harrison. It was found nearly 70 years later by Peter’s grandson John Turner hidden under an old carpet and covered in clay. Visitors to Treak Cliff Cavern will be able to see the location of the Ridley Vein, just off the route taken by the guided tours through the caverns. Samples from the “Lost Vein” which was discovered in 2013. You can read more about the discovery here. 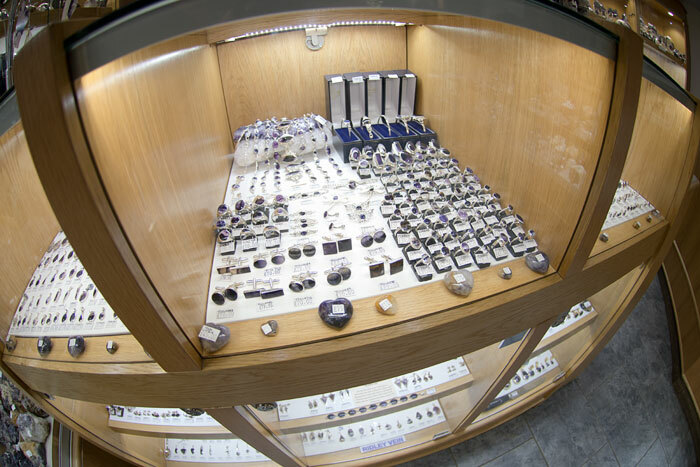 Pieces of polished Ridley Vein Blue John and decorative items and jewellery made from the new vein are also on display in the cavern shop. We also have an exclusive selection of ‘Ridley Vein’ jewellery and specimens available to purchase directly from our online store.